Ramadan is over and the Muslim world and the Middle East is celebrating the Islamic festival of Eid. My very talented and lovely wife did me a design for the occasion for you all (I’ll admit I’m a day late posting this due to Eid obligations and niece sitting yesterday!). So, as we say here Eid Mubarak to you all. Kol ahm wa intum bkhayr, or may you enjoy peace, good health and prosperity for the year to come! 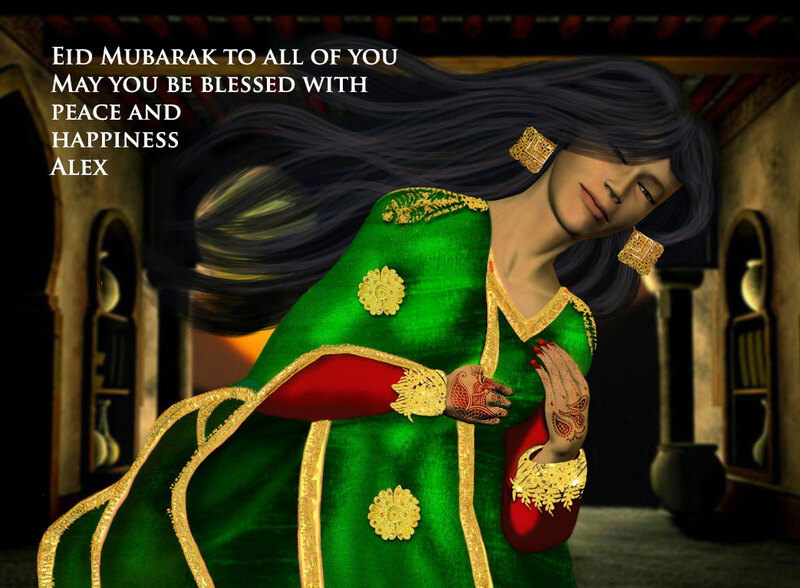 This entry was posted in Bahrain, Culture, Saudi Arabia and tagged Eid, Eid Mubarak, Islam, Ramadan by alexofarabia. Bookmark the permalink.